One of Twelve is one of my characters in Star Trek Online. Although I generally am not much of a role player, I wanted her to be special. I also wanted to avoid many of the cliches I saw in other player character biographies, such as orphans, child prodigies, and general badassery, although looking back I might have indirectly hit on all of these. Doesn’t everyone? I created the character with the idea that she was a genetically engineered Borg drone, with eleven clones. However, I did not get around to actually writing her ingame character bio until the day I finished leveling her to Vice Admiral, the highest rank in the game at that time. One quickly became my favorite character, and is the one I most often play. I can on occasion roleplay with other players, but I tend not to since the very first time I tried, some guy asked me to Risa. I also tend not to make a clear distinction between in-character and out-of-character things. Some time later, I began to write One of Twelve’s story collaboratively with several others bringing their characters into the story. Sadly, this did not go as well as hoped, and the other writers with their characters stopped contributing partway through the story. This brought the story to a halt. So, I have started over. This time it’s just me, and the characters I create. I am open to collaborating somewhat, but not in a way that will ruin the story if another player disappears. I don’t yet know exactly where the story will go, but it will probably loosely resemble the previous attempts at writing her story. At this point, only time will tell where she will end up. Q: What is One of Twelve’s non-Borg name? A: One of Twelve was genetically engineered by the Borg, and thus does not have a name other than her Borg designation. The same goes for Two of Twelve and the other ten clones. Q: What is One of Twelve’s role in the Star Trek Online universe? A: My general opinion is that One of Twelve is not the captain who does the story missions in STO. She is her own character, with her own story that might go somewhere else. 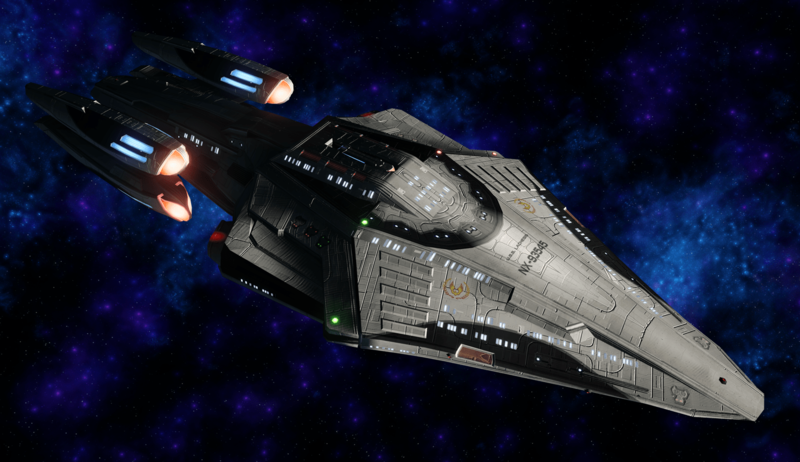 Some of the events in STO might be observed or experienced by her at some point. Q: Why is Tori’s last name Mcmindes instead of McMindes? A: Names tend to change or get misspelled over the centuries. In this case, the correct capitalization was lost. Really though, that is how the name was generated in STO, and I did not think to correct it until after I was using Tori as a character. Q: The U.S.S. Lachesis picture is not the same ship used in the header of this site. A: That is not a question, but yes. The ship used in the header of this site is the second U.S.S. Lachesis after the first was destroyed. You may need to wait for that part of the story to be added.